Reliance Jio always attracted users with its exciting offers. 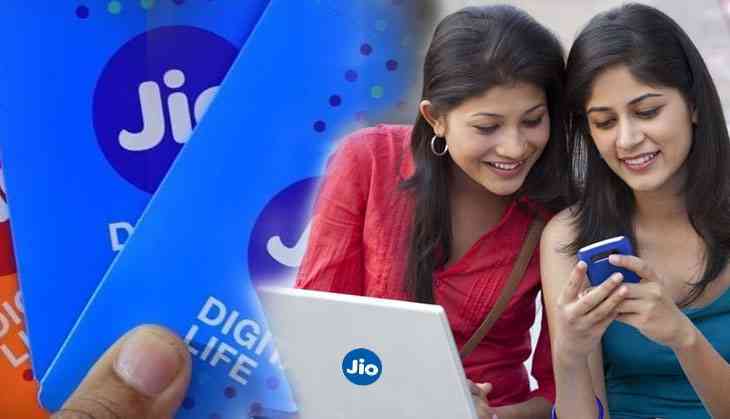 Now, Jio users another good news for you as Jio is going to give an offer to prepaid users. After getting this new offer, the life of the users will completely change and they will be able to use the Internet for a long time. Yes, Mukesh Ambani’s company has decided to give 2GB data to the 4G users. The speciality about this offer is that users will not need to spend any single amount to purchase this offer. However, the benefit of this pack can be enjoyed by a MyJio app. Reportedly, this plan is only for the prepaid customers. As per the reports, this plan will be finished on 30th July i.e. today. Therefore, Jio users go and grab the deal before it’s over. However, it has not been cleared that this offer is for all prepaid users or for limited users. It is being said that this plan of Jio is the add-on plan of Jio. Recently, Jio has also announced its Monsoon Hungama offer. This Monsoon offer was started on 20th July at 5 pm. Under this Monsoon offer, Jio users can purchase this offer at Rs 501. As per the terms and conditions, users have to return their old feature phone. Reliance Jio users can avail this offer by visiting their nearby Jio retail shop.